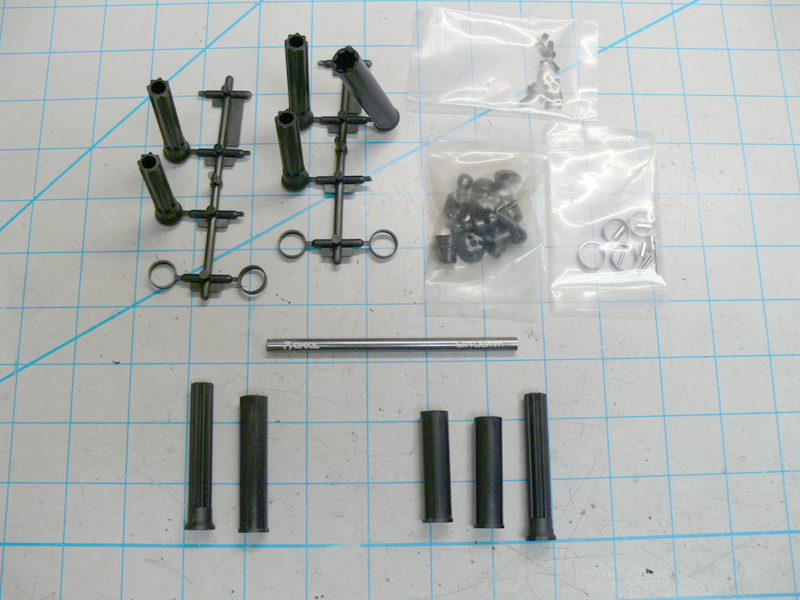 A quick reference parts list for the Axial SCX10 II Transmission. If you didn’t already know, tires make the single biggest difference in the overall performance of a competition vehicle. 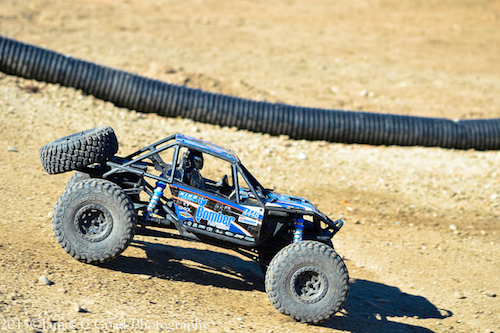 A fast motor will increase top speed, but if you want lower lap times, if you want to be in front of the competition, if you want to win, it is absolutely essential you spend time to getting the right tire setup on your Axial Racing vehicle. This includes tread pattern, rubber compound, size, inserts and even, to some extent, wheels. 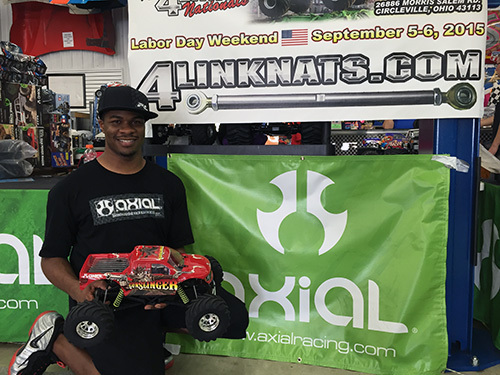 While all Axial Racing vehicles include high-performance scale tires, there is no single best tire. What works perfectly at one rock racing track simply may not work at all at another track. Also, track conditions change, so what worked at one point in a race day might not be the ideal choice later in the same day. Rock racing is tricky because what works exceptionally well on rocks is unlikely to work on high-speed dirt sections and vice versa. It is essentially impossible to pick out a rock racing tire without making some sort of compromise. The specific track you are racing on will determine which way you want to compromise performance. The tread is the most obvious feature of a tire. All of the other features in a tire design matter to varying degrees, but it’s hard to argue that tread pattern makes a big difference. Treads with taller, flexible lugs can sometimes be beneficial on rocks, but they are unlikely to do well on typical hard racing surfaces where the tread easily folds over. When the lug folds over, it provides inconsistent and unpredictable handling as they can slightly squirm around. If a track has a lot of silt, which is very common, tall lugs do help. Most racing-specific tires, however, have short lugs, so if the rock racing track you’re competing on has a lot of fast sections, select a tires with smaller, closer-spaced lugs. Large voids (open spaces) between lugs help keep tires from clogging with soft, wet dirt. 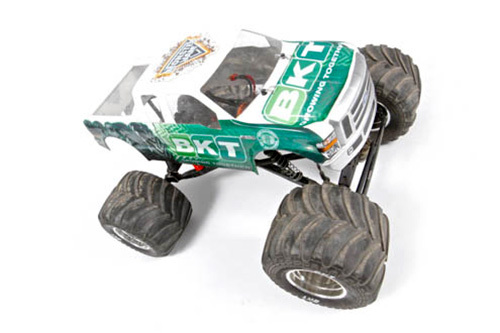 If the track is muddy due to weather conditions or heavy watering by the track crew, consider a tire with large spaces between the treads such as the Axial BFGoodrich Krawler T/A tire. Another part of the tread to look at is the sidewall. 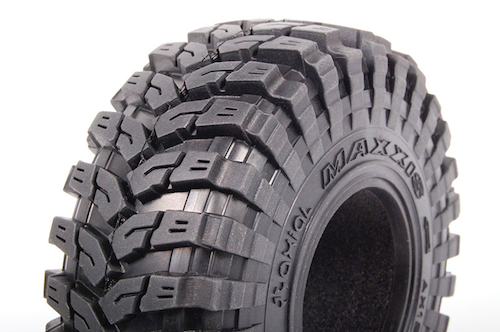 Tires such as the Axial Maxxis Trepador and Axial Ripsaw have significant tread wrapping down the side of the tire carcass. These side treads can be a huge advantage on the rocky section and typically won’t impact handling on the fast sections. Don’t be afraid to mix and match tires to achieve the desired handling. Often rock racers have a hard time with squirrelly handling on the fast sections and at the start. Going with a less aggressive front tire can help reduce oversteer. If the car slides (not spins out) in the corners, it will benefit a more aggressive front tire and might need more traction overall. 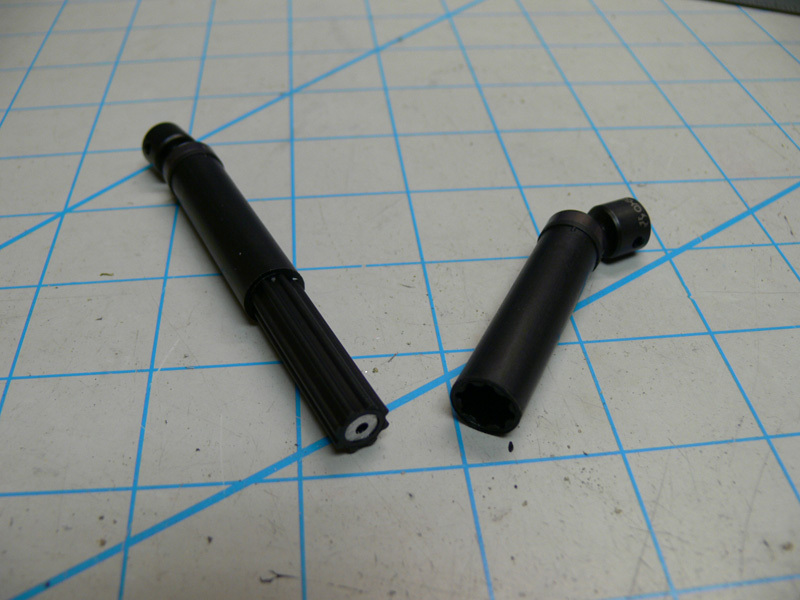 There are numerous rubber compounds to choose from. 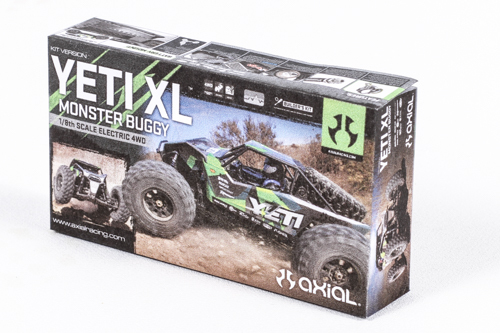 Softer compounds such as Axial’s R35 compound (white dot) are softer and stickier. 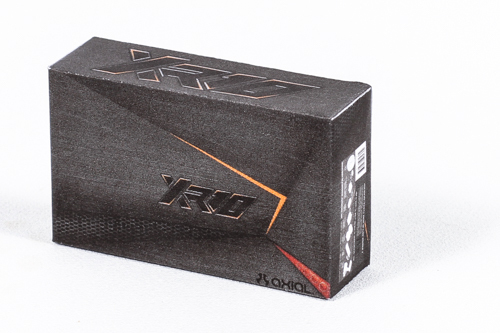 Soft compounds provide more traction, but wear faster. A soft compound such as R35 is almost always better for rock racing. In the same way treads can be mixed and matched, different compounds can be used the front compared to the rear. It might make sense to start with R35 compound with the rear tires only. Often, when selecting tires for rock crawling, the focus is on tire height, but width is just as important when choosing a rock racing tire. In general, and with all things being equal, a wider tire has an increased contact patch and will provide more traction. Narrow tires up front teamed up with wider rear tires can be an ideal setup. This is especially worth trying if your truck is struggling to track well in the corners. While width is important when looking for the right front to rear balance, height is still important. The main benefit of taller tires is increased ground clearance. 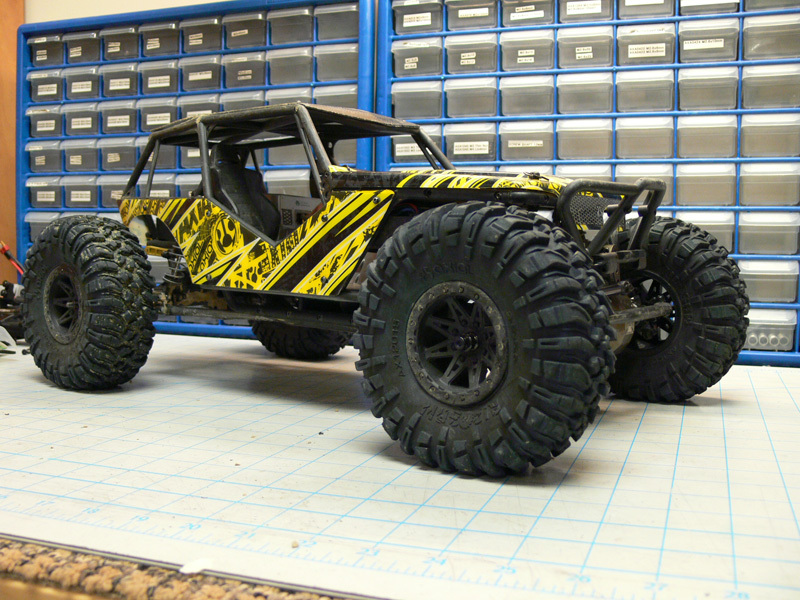 Taller tires also have taller sidewalls since we only use a few wheel sizes in R/C. Taller sidewalls have no benefit on the fast sections, but tall sidewalls do allow for a more flexible tire that can wrap around rocks and aid in climbing. In full-size tires, compressed air supports the tire. There are a few exceptions, of course. 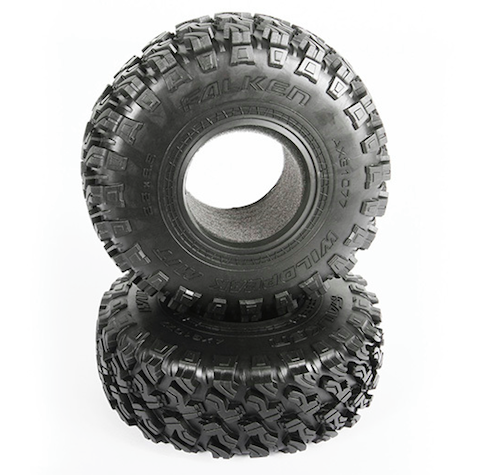 In R/C, foam inserts replaces the air, and just like the air inside a full-size tire, the foam supports the tire. Firmer foam is like higher PSI and softer foam is like less PSI. Foam can be divided into four groups: open-cell, closed cell, memory, and multi-stage. 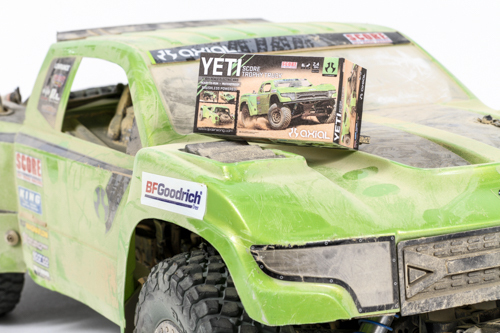 Open-cell foam is the most common type of foam found in R/C. Not all open-cell foam is the same; there are countless varieties. This is the same for all of the foam types. 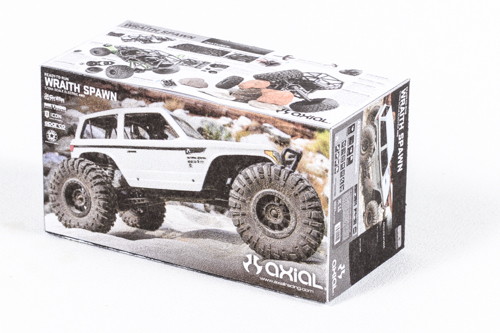 Axial Racing includes a medium density (firmness) foam insert. Closed-cell foam is molded foam and in the last five years has become the most common type of foam used with racing vehicles. 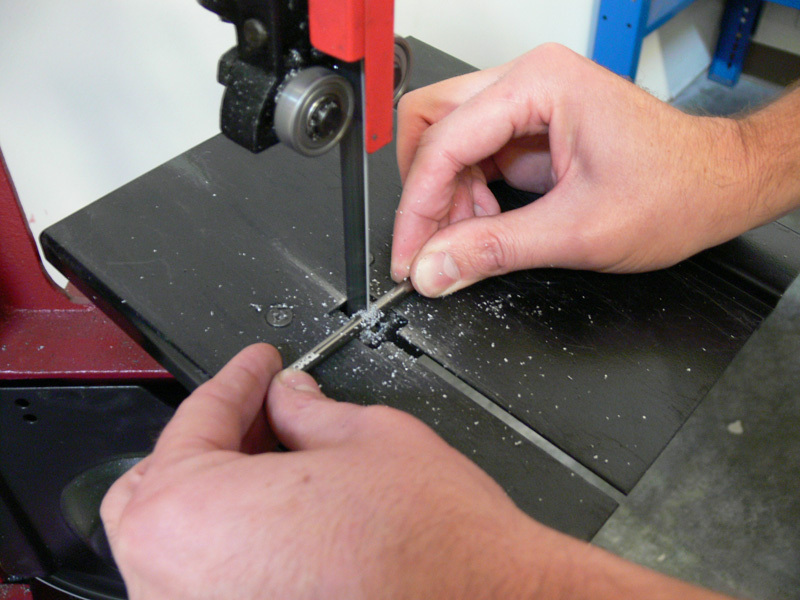 A solid closed-cell insert is, however, almost always too firm to work well for rock racing. 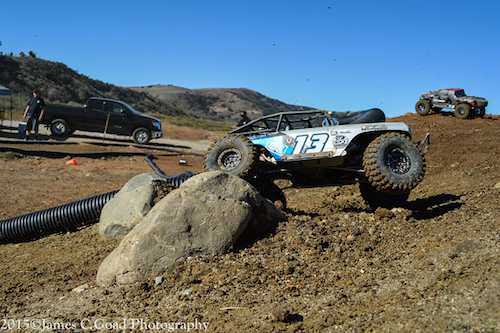 Memory foam is often used in rock crawling, but it can have some ill effects when rock racing. Memory foam is heavier than both open- and closed-cell foam. 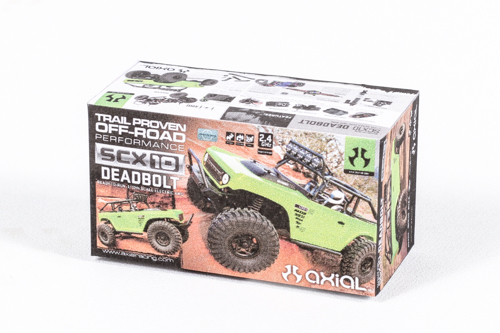 This helps with rock crawling, but can actually cause accelerated parts wear. Unlike traditional foam, memory foam is slow to return to its original shape after encountering an obstacle. 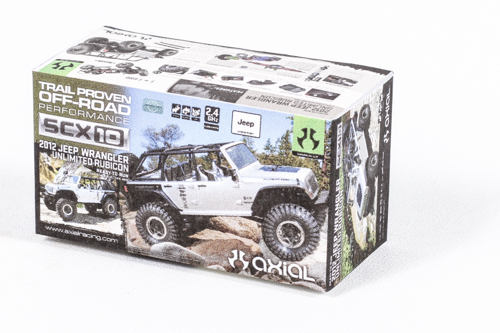 This characteristic of memory foam helps when rock crawling where going slow is the norm. The memory foam conforms to and wraps around obstacles. When rock racing, if memory foam is compressed it will cause an out-of-balance tires and erratic handling. 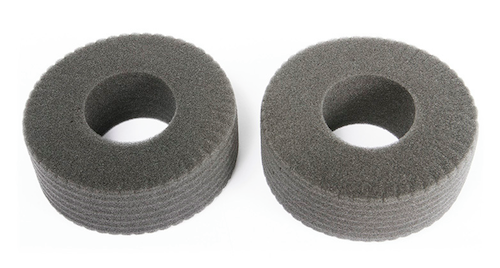 Multi-stage foams use more than one type of foam and allow you to have a “best of both worlds” setup. Just about any combination is possible, but the best setup for rock racing would be a closed-cell inner ring surrounded by an open-cell outer ring. How the foam fits inside the tire also impacts how firm it feels. 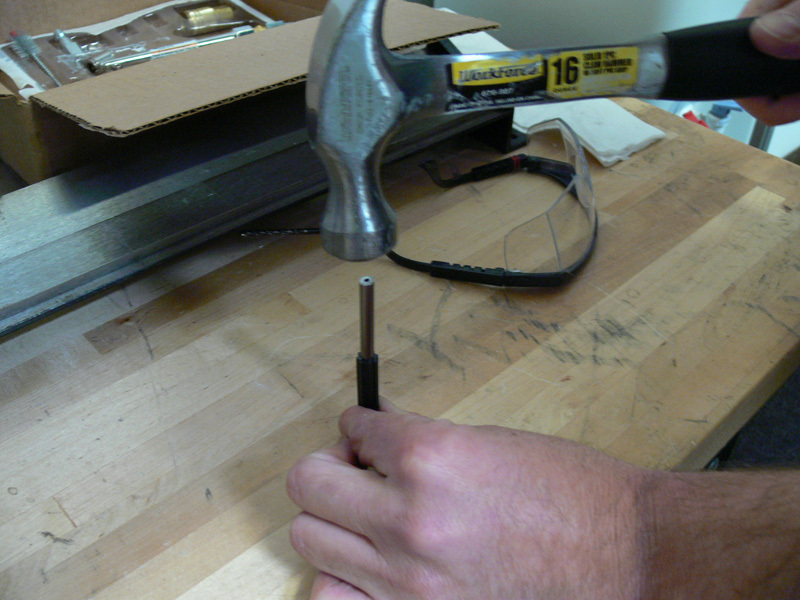 For rock racing, it is best to use a foam insert properly sized to the tire. An oversized foam insert will make the foam firmer than possibly desired and an undersized foam will provide erratic handling as it moves around inside the tire. In high-speed racing, a slight air gap (space between outside top of the foam and inside of the tread are) will increase traction without hampering handling as long air gap isn’t too large. Creating a consistent air gap when using open-cell foam can be difficult, but with careful attention to detail it is possible. 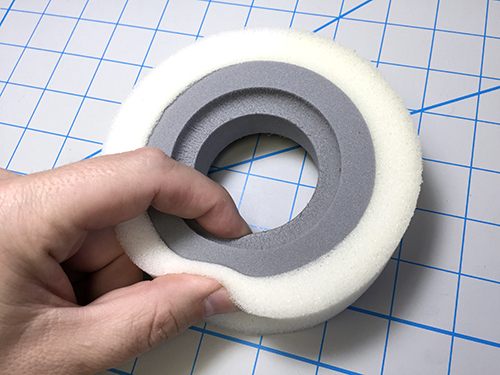 An important item to consider is that foam inserts wear out. Sometimes tires might not show a lot of visible wear, but the inserts inside have broken down. Open-cell foam wears out the fastest. Often simply squeezing a tire doesn’t demonstrate how the foam is holding up. Instead, squeeze all of the tires and make sure the foam rebounds at the same in rate in all of the tires. Carefully feel the tires to see if the is an increased gap between the tire and the foam insert. If you’re using bead lock wheels, disassembling the tires and wheels may be in order. 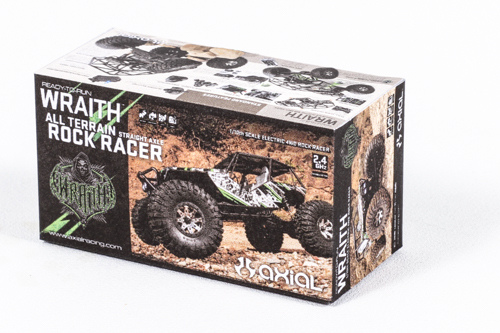 Where rock crawlers often favor heavier aluminum wheels, lightweight wheels are best rock racing. Increasing rotational mass, such as with heavy wheels, is never desirable on a high-speed vehicle. In fact, lightweight and more flexible wheels will most likely improve handling over bumps and jumps. While bead lock wheels have the advantages of being easily reused and unlikely to fail (have a tire come apart) if properly installed, they are heavier. Glue-up style one-piece wheels are often appropriately flexible and lightweight, which, as stated, are good qualities for racing. 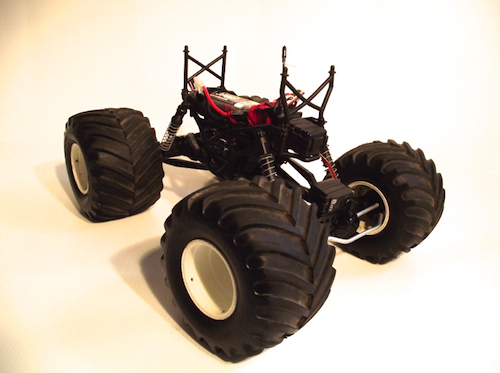 There’s a growing number of Axial-based monster trucks being built. 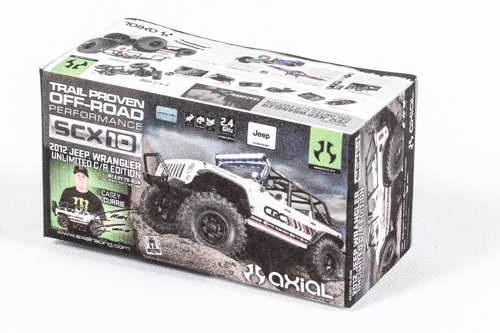 And, specifically, many builders are using Axial Racing AR60 axles and drivetrain components. This actually seems to be the most popular choice for newer builds. Many of these rigs being built are simply amazing, so if you’ve seen any of these custom creations, it’s likely that you’ve been inspired to build your own. But, if you’re on a budget, you might think these trucks are out of your reach. 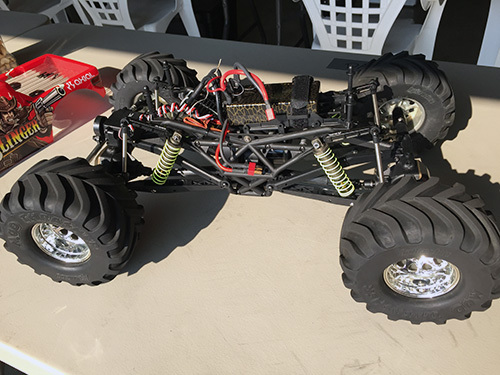 RC Truck Stop showed that building your own solid axle monster truck can be done on a budget without sacrificing any performance. 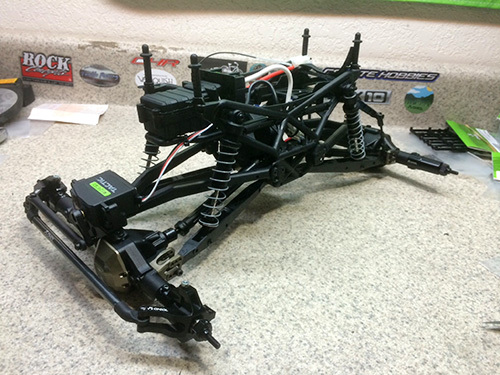 The build below uses an Axial AX10 as the base for the project. This saves time and money. 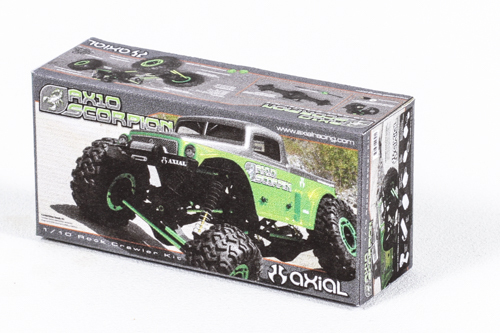 Interestingly, this same type of configuration has since been used to national-level solid monster truck racing competitions. With the body off, you can see this build isn’t that big of a departure from the standard AX10 setup. 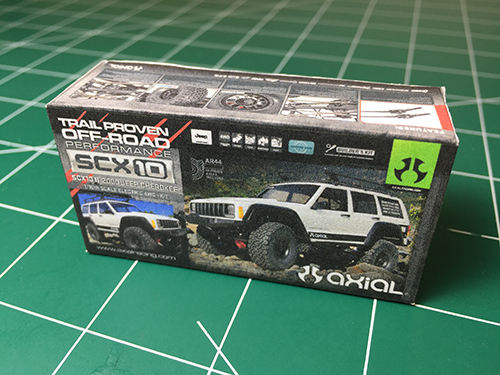 Being the die-hard Axial fan that you are, a while back you may have noticed the Papercraft Accessories blog that was posted up just before the RECON G6 B-Day II Scale event. Within the post you’ll find gas cans, pieces of luggage, wrapped presents, toolboxes, and even a boom box. Pretty cool considering that if the crafts ever got damaged you could easily print, cut, and put together a new one. 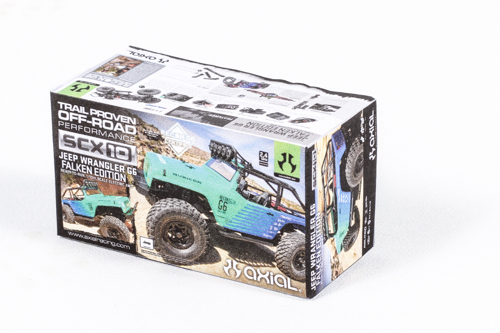 Now that some time has gone by, we figured it would be a great time to update the papercraft assortment to include ALL the current and past Axial vehicle boxes! 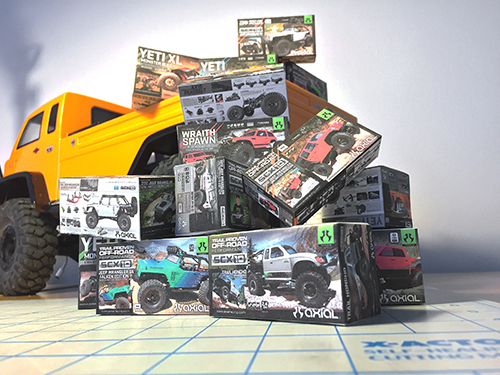 Yes, ALL BOXES, which includes the original AX10™ Scorpion, EXO™, XR10™ and even the new Yeti™ SCORE® Trophy Truck®! 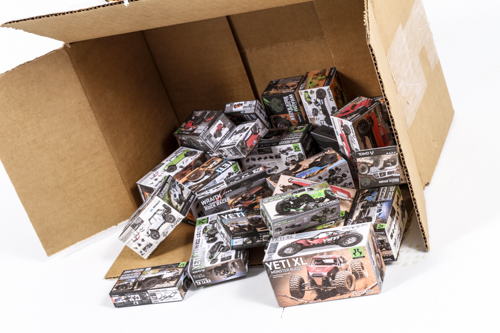 Just when you thought your scale garage/work shop scene was fully sorted out… Time for papercraft! Scrambling to open the box immediately after delivery drops it off! 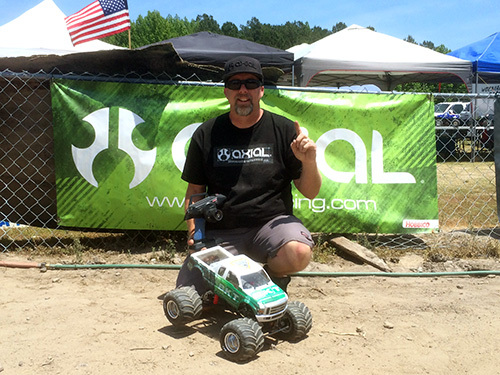 How to build a Winning Axial Deadbolt Monster truck! 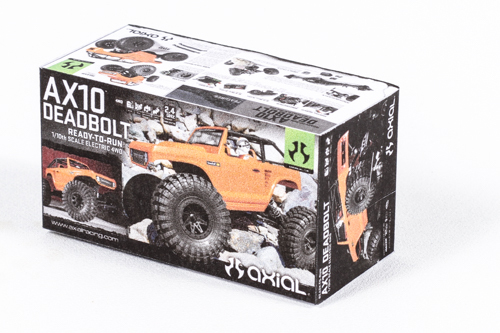 All of these trucks are based off of the Axial Deadbolt. 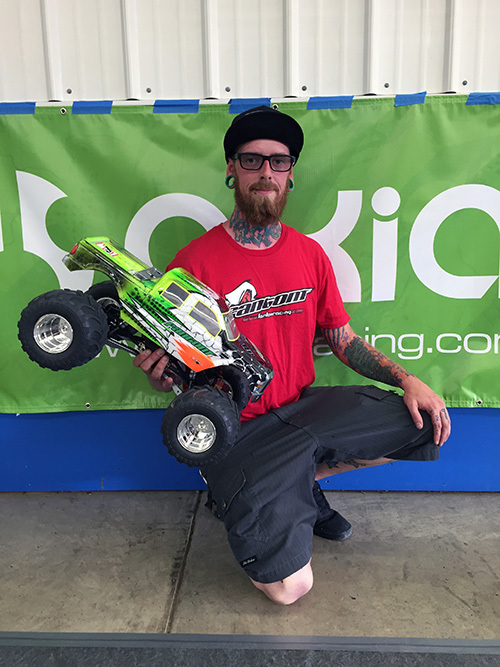 With a couple of mods you can change your Deadbolt in to a Winning Monster truck too! All of the suspension is the same as the Axial Deadbolt besides adding some links and some option parts to help with durability. 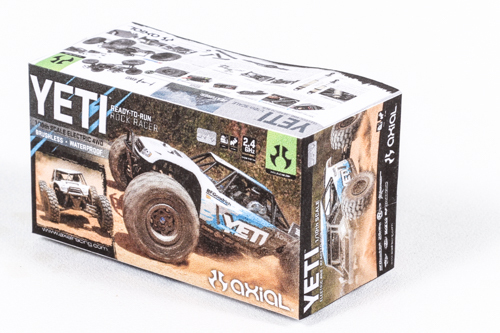 First, what you need to install are AX31109 Yeti Links for the front and rear. The biggest change will be adding a front and rear sway bar. This is super easy to do. 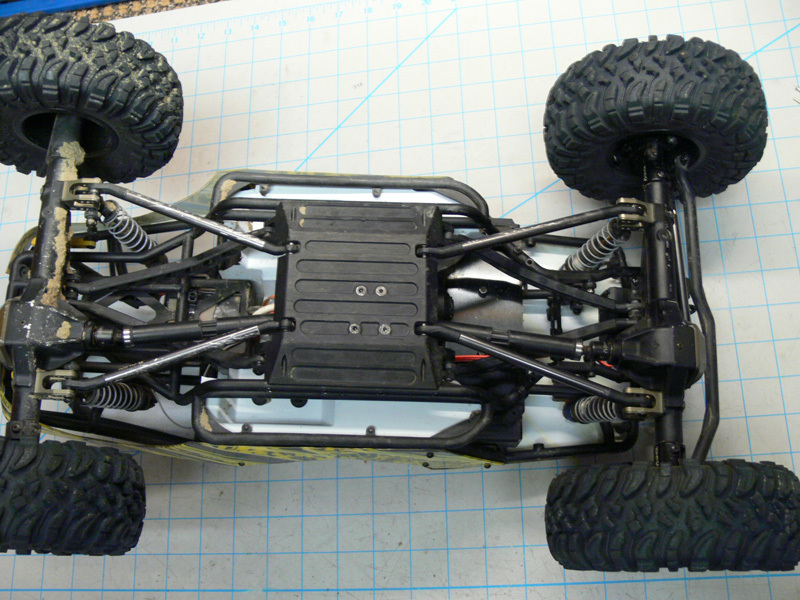 Install the AX80118 Battery tray on the front of the chassis and you will have sway bar mounts front and rear. 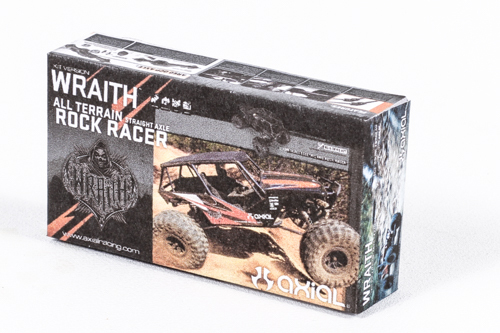 Use AX30782 Wraith sway bar set with the heavy bar. 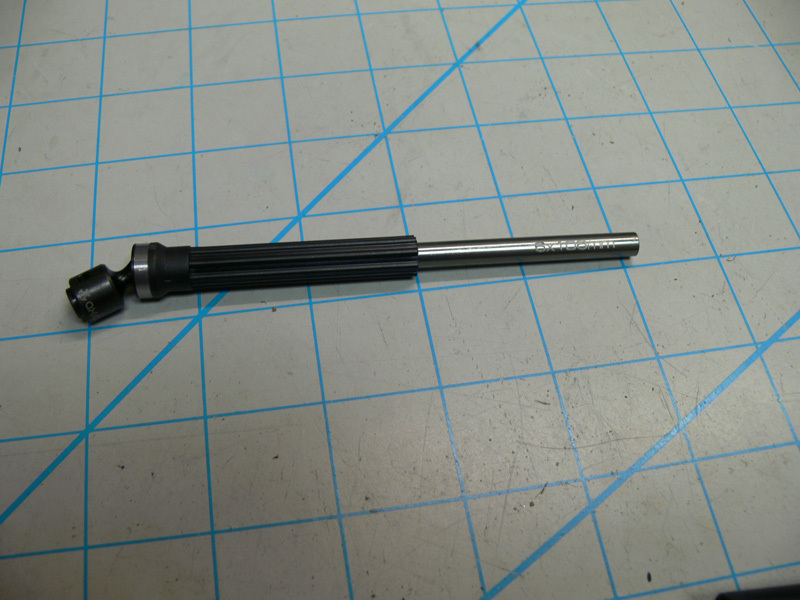 I also used AXA1429 post to clean up the look of the Sway Bar. To get the width, I used HPI 88055 Wideners with Tamyia Clodbuster Rims 9335085 and TAM0005294 Adapters, with 10114-02 Pro Line Destroyers! 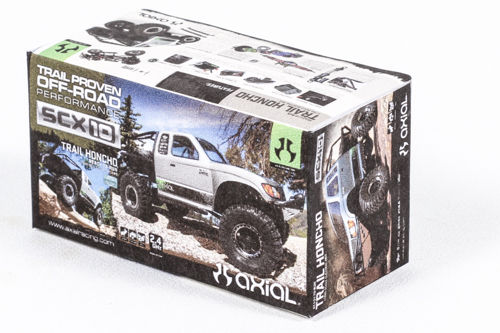 For the front Axle, use AX30780 AR60 OCP Universals to keep the steering smooth, combined with the AX30760 Alum Knuckles, AX30762 C-Hubs, rear AX30789 Alum Straight Axle for durability, and AX30829 Alum Diff Cover front and rear to polish it off! For the transmission, I used AX30708 Metal gears, AX30401 36t/14t Front, AX30395 38t/13t HD Machine Ring and Pinion gears and AX31100 Alum Skid plate to plant all the Power! For handling, install diff gears front and rear. 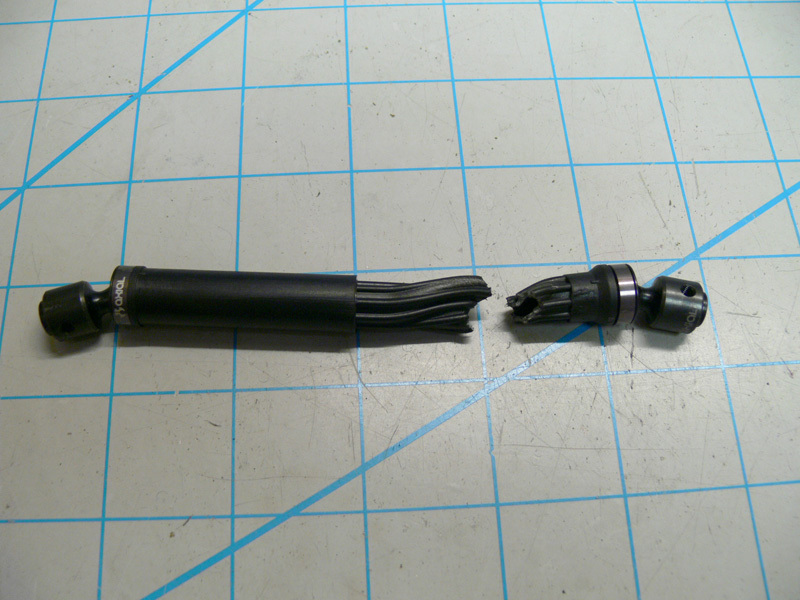 I used the AXA1162 o-ring, AX30390 Diff Gear, AX30170 Diff Pin. Plus, I run a black grease inside the diff. Shock Set up is different with all 3 trucks, I personally run AX30223 14x70mm 1.04 Springs with 10 wt oil in AX31171 Icon Shocks. Here are some under the Hood Pics! 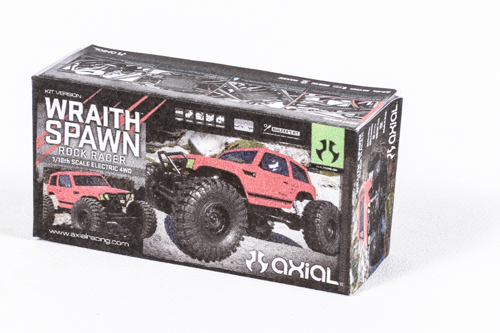 Axial Racing vehicles are patterned after full-size off-road vehicles, and at Axial, scale realism is more than skin deep. 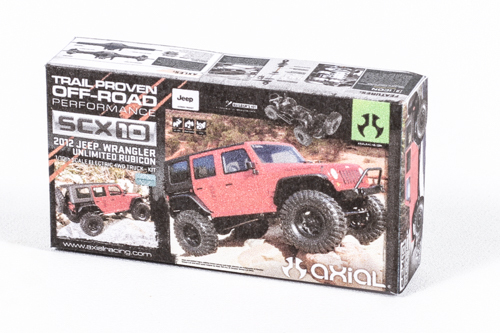 That means that Axial’s RC models are more than just realistic bodies on top of universal or generic platforms. 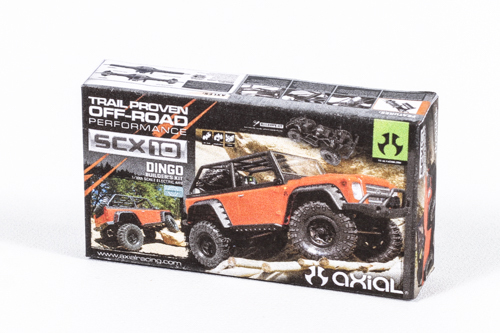 The SCX10, for example, features solid axles and a linked suspension. 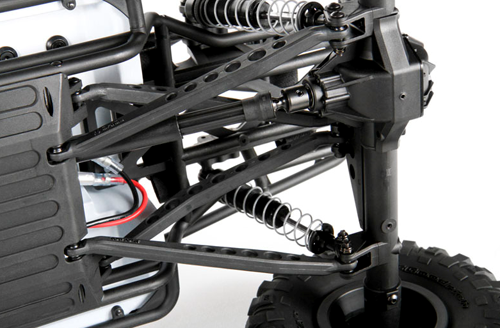 The EXO Terra Buggy, on the other hand, has what is called independent suspension, front and rear. 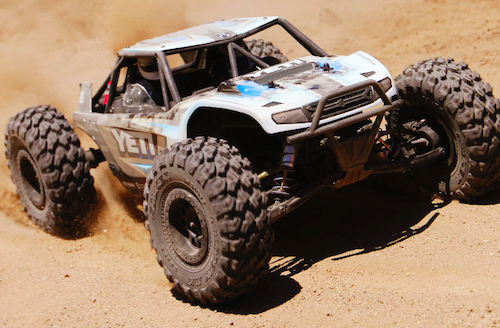 The Yeti has independent front suspension and a solid rear axle. In addition to axle types, there are different suspension types found on the same axle designs. 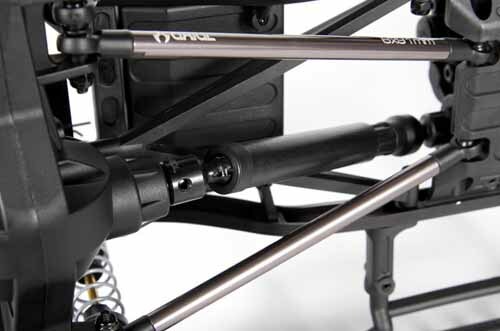 Here are the basics of axle and suspension designs and what they are generally best for. The solid axle gets its name from the solid axle housing that goes from one side to the other, not the axle shafts inside. 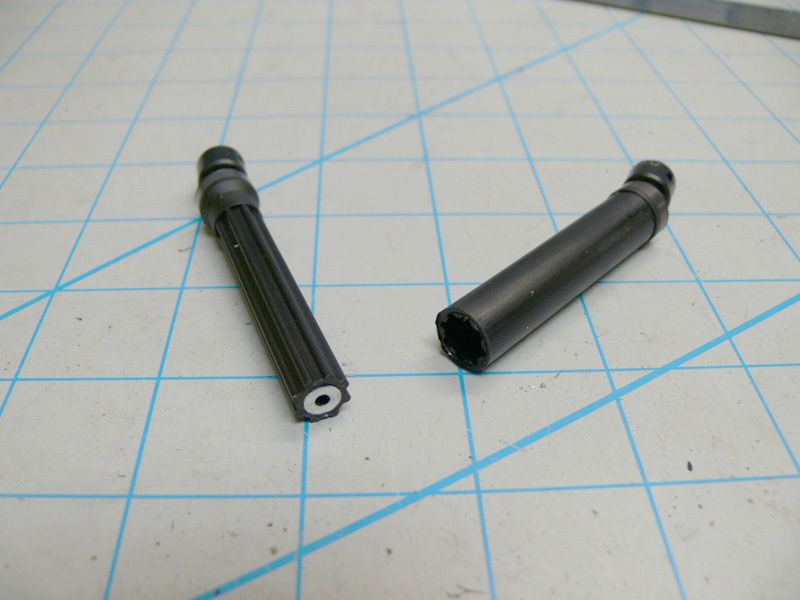 The internal axle shafts aren’t actually a single solid piece going all the way across. 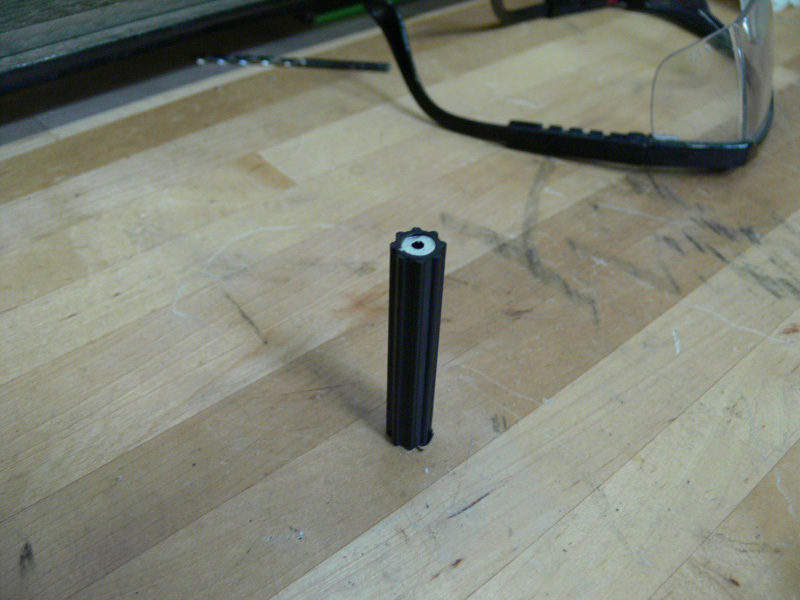 Inside the housing, there is an axle shaft on each side. This is true in the full-size world and with Axial axles. 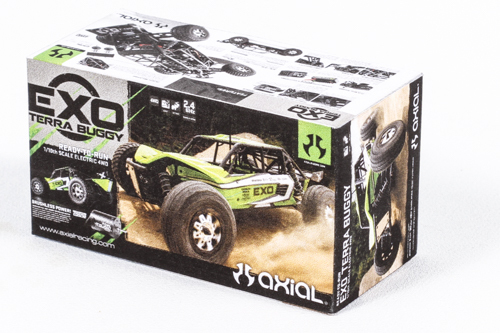 Axial’s design is extremely similar to a real solid axle. 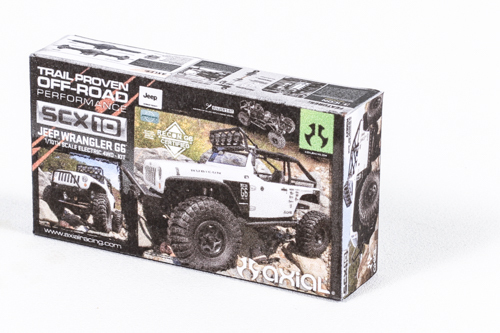 The AX10, SCX10 and Wraith all feature solid axles front and rear. 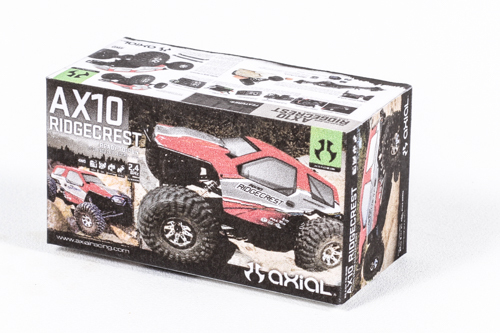 The SCX10 features a narrower axle design; the Wraith platform and the current AX10 feature Axial’s wider AR60 axle that is the RC equivalent of a full floating 1-ton design. Often the terms live axle and solid axle are used interchangeably. Most solid axles are live axles, but they aren’t the same thing. 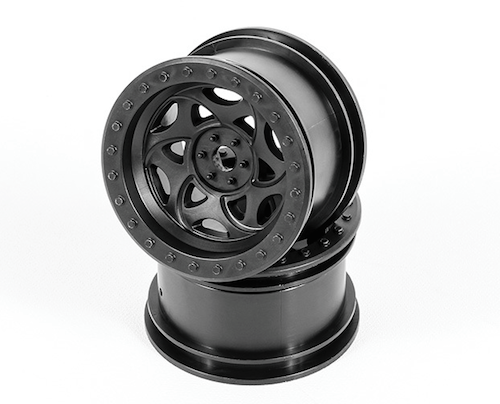 A live axle is any axle that is powered and not free rolling. 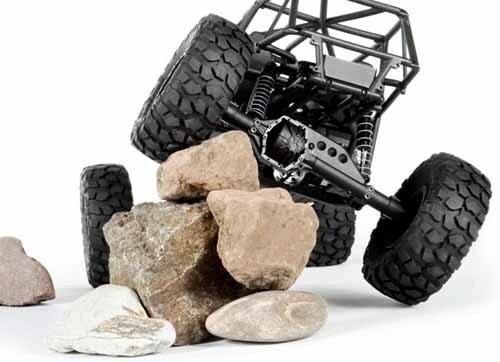 When rock crawling, the solid axle is often the preferred design. 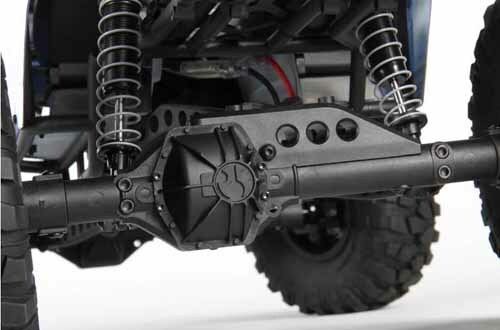 In addition to the durability solid axles are known for, they also don’t lose ground clearance as a tire is pushed up during suspension articulation. 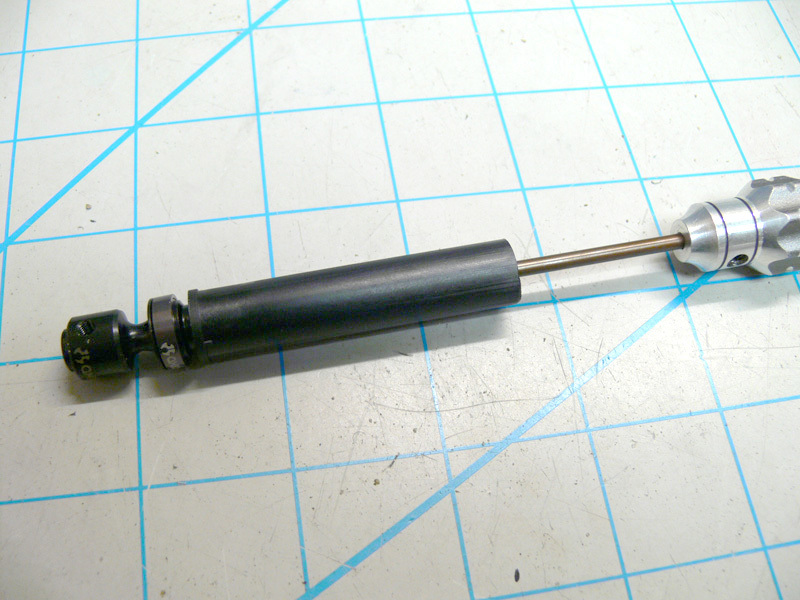 The easiest way to visualize this to grab a pen or pencil and imagine it is a solid axle. Tilt one end up and over an obstacle and you can see how by driving tires up and over obstacles makes maintaining ground clearance easy. This exercise also makes it easy to see why it’s often best to place tires on rocks in the trail instead of trying to straddle them. Independent suspension means the two opposing sides work independently from each other. If the right front tire hits a bump, the left front tire is not impacted. When speed is involved, the independent suspension is a better choice as it provides a much smoother ride. Keep in mind that when a tire on an independent setup encounters an obstacle, the tire and suspension components travel up, but the vehicle typically doesn’t. 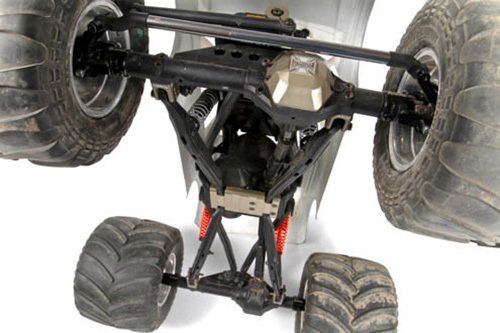 This allows the vehicle to go over rough terrain at a fast rate and remain stable. Picture all of the wheels moving up and down independently as a truck races across a desert terrain. 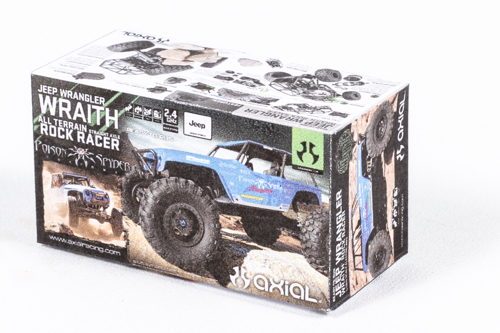 The downside is when traversing rocks, the center section of the chassis will stay low to the ground as the tires move up and over rocks. Many full-size trucks have independent front suspensions (IFS) paired with a solid rear axle. This used to be common on only 2WD trucks, but is essentially the standard for the majority of factory trucks. There are many SUVs that have front and rear independent suspensions. 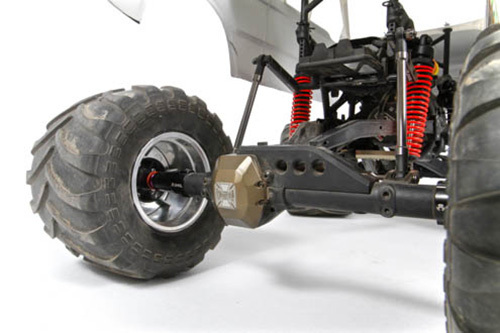 A solid axle can be attached to the frame or chassis of the vehicle in a number of ways. 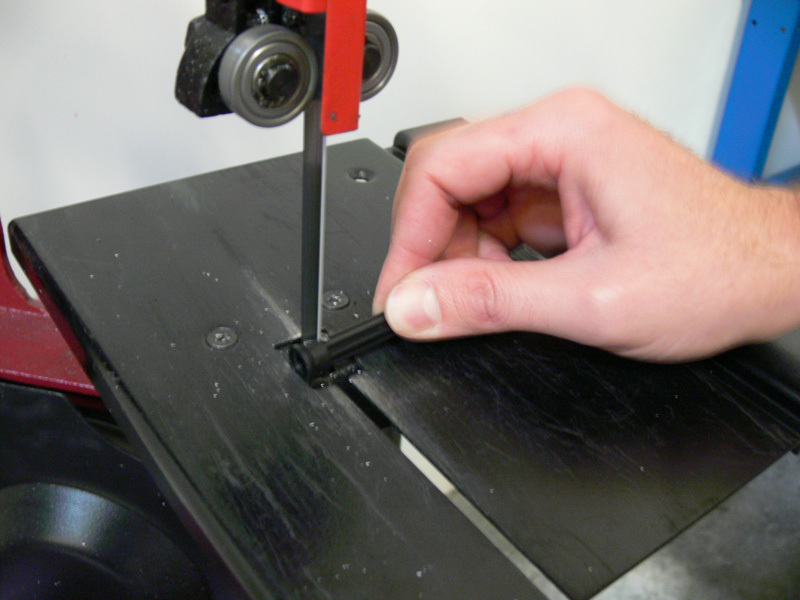 Probably the oldest and simplest way is via a leaf spring setup. Vehicles that are engineered for better ride quality and articulation (suspension movement) now use coil springs. 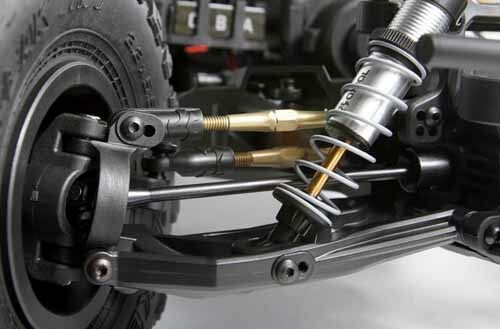 Using coil springs, however, requires the axle to be held in proper position (and still articulate or move). This is done via links. There are a variety of link setups. A 3-link setup, as the name implies, uses three links to connect the axle to the chassis. 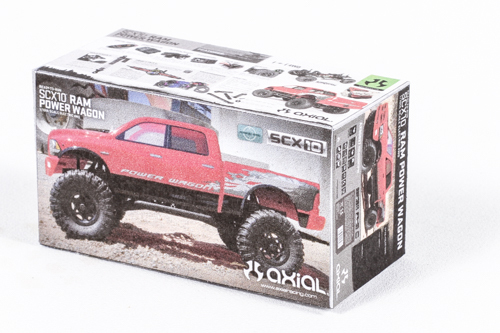 Take the SCX10, for example, the front suspension setup has two bottom links and a single upper Y-shaped link. 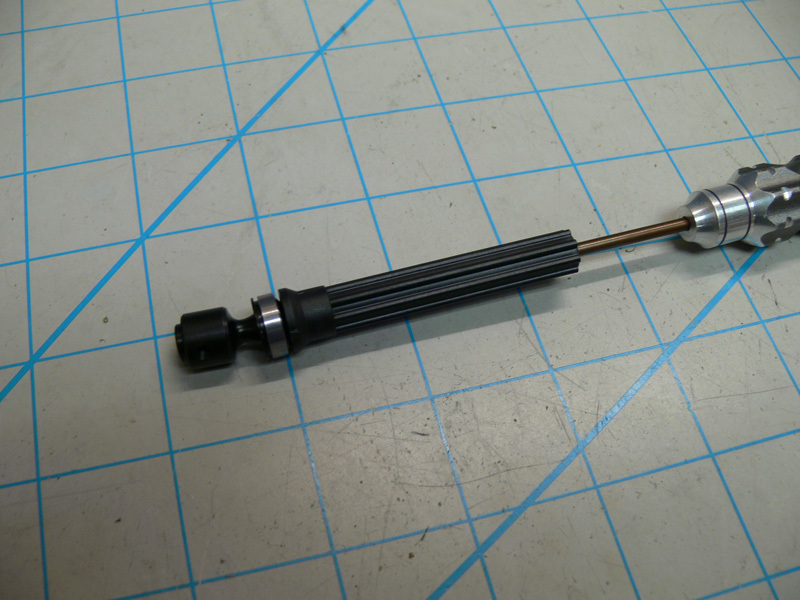 Since the upper Y-shaped link attaches to the axle at one spot, this is called a traditional three link setup. To add a degree of confusion, the name a suspension design gets isn’t always based on the total number of links. 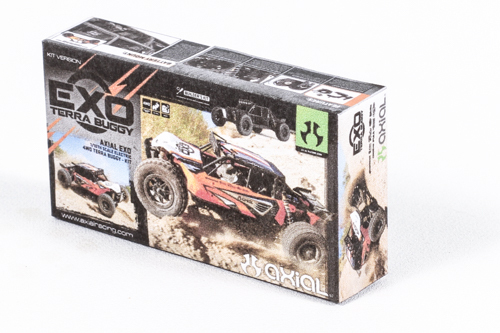 This is because some suspension designs, even in R/C, will have a pan hard bar (or track bar) that helps locate the axle under the vehicle and keeps the axle housing from moving from side to side. So, someone may say they have a 3-link setup with a pan hard bar. This is a total of four links. It’s worth noting that a link design that is properly triangulated will not need a pan hard bar. The Wraith uses a traditional triangulated 4-link suspension design. 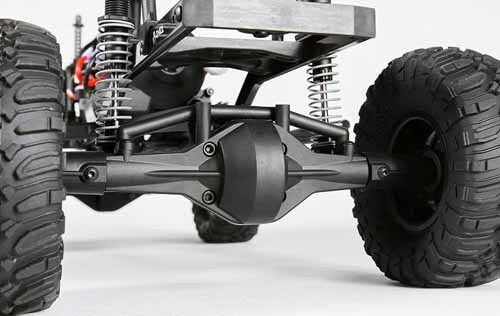 A close look reveals that at the axle the lower links are mounted far apart and then closer together at the chassis. The opposite is the case for the upper links, which have an even more pronounced triangulation. 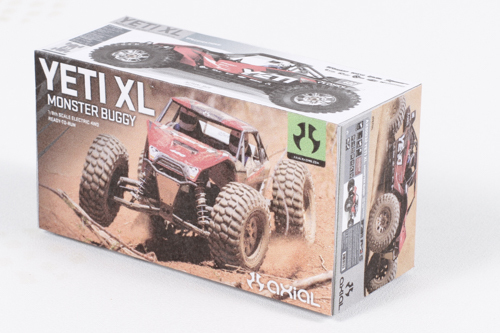 This design properly positions the axle, allows for plenty of articulation and is very strong. The previously mentioned Wraith has a 4-link setup front and rear. 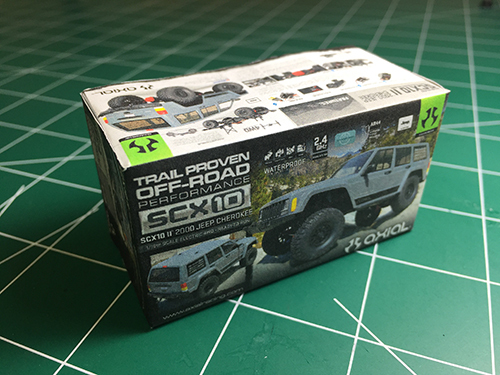 Depending of the particular version, you are most likely to find a 4-link rear suspension on the SCX10. 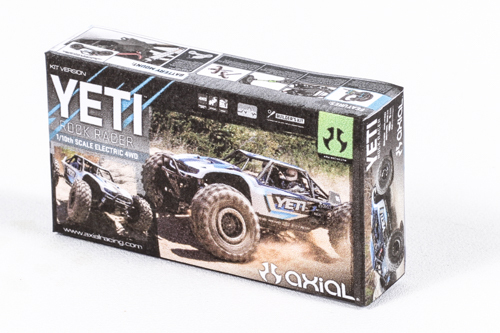 The Yeti uses a 4-link rear suspension. And, the current AX10 platform, Ridgecrest and Deadbolt, use 4-links front and rear. 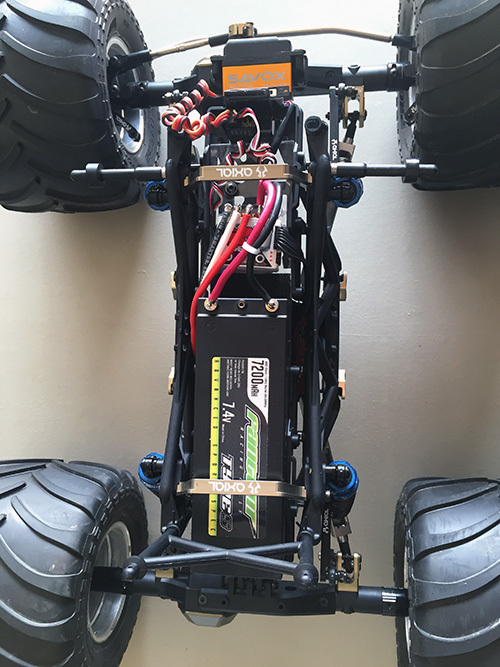 The XR10 competition crawler also uses a 4-link design front and rear.